Cities are fundamentally designed for people, but the coarse of development in recent times has resulted in creation of urban scapes , which are adversely affecting public life in the city. 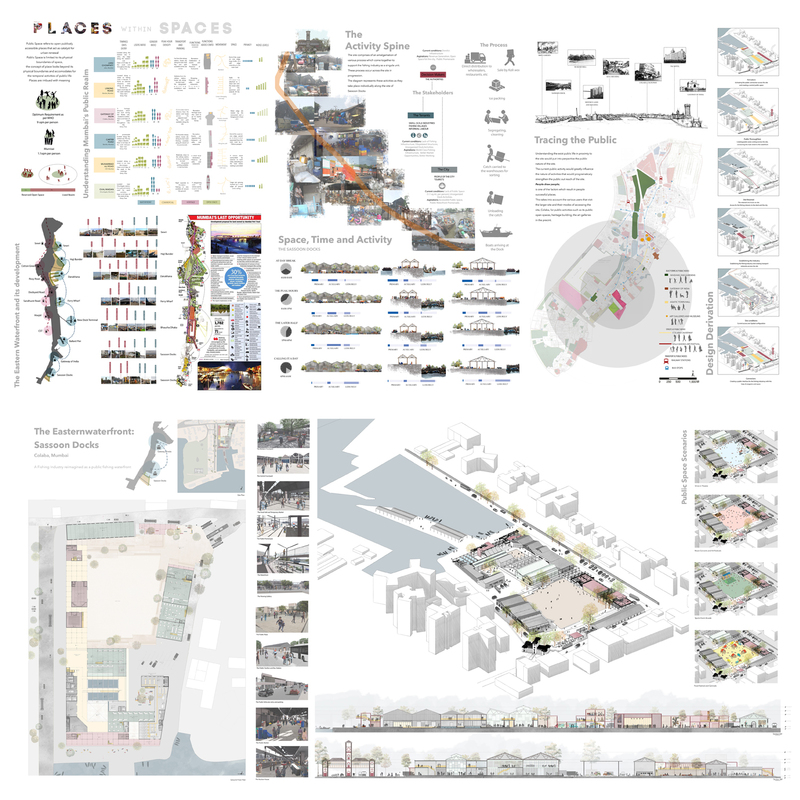 The thesis is an attempt to understand the existing public life in the city and use it as a tool to reimagine pubic spaces along the eastern waterfront, Sassoon Docks, of the city. When cities are imagined in today's world it is often noticed that the interests of capitalists take over the public land as well as the public representation and spaces in the city, and development happens with the vision to benefit some at the cost of the masses of the city. The site of Sassoon Docks is currently a fishing dock of the city and a public fish market, but as development runs its course this land is being taken over and the fishing industry and market is envisioned as a commercial recreational space. The project is an attempt to create a public space for the city while also keeping the current activities, culture and memory of the place alive and using that as a core to initiate this development.